Since Rajkumar Santoshi’s Ghayal was released in 1990, things have changed in Bollywood. Mainstream films may not have gotten better, but they are more polished in style and technique. 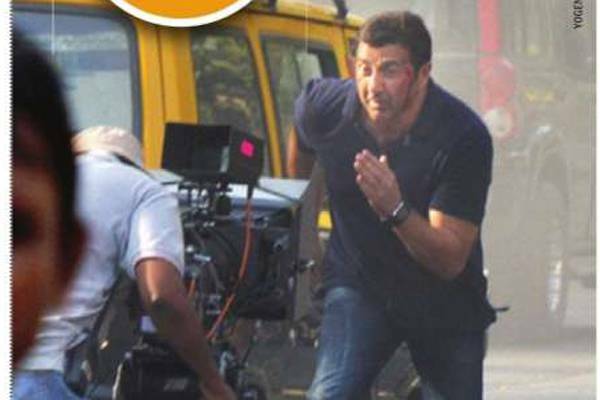 Sunny Deol, who badly needed a great comeback film, just reminded audiences that he belongs to the nineties, by producing, writing, directing and acting in a film like Ghayal Once More, which now looks like a relic of another age. Had he delegated to a bright, young director, maybe this would have been a different kind of film. Ghayal Once Again picks up where the original left off and integrated the flashbacks rather well…Ajay Mehra (Deol) the former boxer, is older, but still just as angry with a corrupt system. He comes out of jail after completing his sentence, starts a crusading newspaper, Satyakam. (Trivia junkies, this is the title of a film in which Deol Senior, Dharmendra acted as a man who speaks nothing but the truth) and is also a vigilante for justice. Joe D’Souza (Om Puri), the good cop in Ghayal is the other character who returns in the sequel as his RTI-activist cohort, the other being psychologist Rhea (Soha Ali Khan). This film, however, lacks a villain of the caliber of Bawant Rai, played by Amrish Puri. Narendra Jha as the evil business tycoon Raj and his brat Kabir (Abhilas Kumar) just do not make the cut even when aided by the usual rogues, home minister (Manoj Joshi) and lawyer (Sachin Khedekar) and rival newspaper man (Harsh Chhaya). Kabir kills Joe, and the crime is accidentally recorded by four college students Zoya, Varun, Rohan, Anushka. Only Ajay, his rage, and his fighting skills can save the four innocents. This is the kind of film in which a young female journalist is sexually assaulted and driven to suicide; in old action films, a woman’s izzat was enough to unleash the hero’s fury, but this is just unacceptable today. While Ajay Devgan’s Singham may be keeping the action flag aloft, it’s also true, that revenge films that once ruled Bollywood fell out of favour and could do with a limited revival. But updating does not mean just adding gadgets, computer technology and firangi henchmen. The action sequences are not bad, but recent films have done them with more pizzazz. Hindi cinema could do with a new Angry Young Man to fight fictional battles on behalf of the common citizen, but the key word is young. Sunny Deol still has star power and can scowl better than any other actor, but he also needs film with a better script and a much better director. Unfortunately, he has only himself to blame.